USA Mortgage is excited to bring its full line of mortgage products to the Capital City. We offer a complete suite of loans that can fit virtually any mortgage need. We offer products such as USDA, FHA, VA, Renovation, Conventional and down payment assistance programs! We even have options for 100% financing on USDA, VA, and FHA products. USA’s versatility in the Home Loan industry has also solidified a reputation in accomplishing what other mortgage lenders will not or are not capable of doing. We have a wide range of investors that cater to almost everyone’s need basis. We can accommodate the niche mortgage, challenged credit and the mortgage that requires out of the box solutions. Jefferson City has a growing population and more of its people are becoming homeowners. We understand the needs of first time buyers and current homeowners that have changing needs. We believe there are no cookie cutter loans as people have different situations. We also look at our services are designed for the person and not the property. Our focus on making sure we treat our clients as individuals who have differing needs and goals is paramount to reaching a successful conclusion. Why USA Mortgage Home Loans? In 2017 the millennial generation became a force in the mortgage landscape and Jefferson City represents this diverse and growing community. 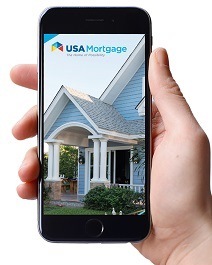 USA-Mortgage has adapted to their specific needs by implementing advanced technology, adopting conforming mortgage programs and developing a mindful culture of sensitivity to their needs and buying habits. We want to be the hometown lender that exudes next-generation technology and processes to adapt to the needs of this progressive class of individuals. Our company has adopted the spirit of this generation and displays it every day in our work environment. The company is so forward-thinking in its development that we were voted the best company to work for in St Louis in 2018. 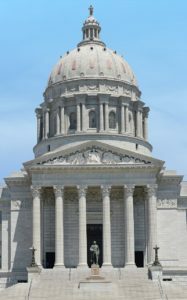 USA-Mortgage knows Jefferson City has a long history of championship accomplishment in sports and are entrenched in a winning spirit. 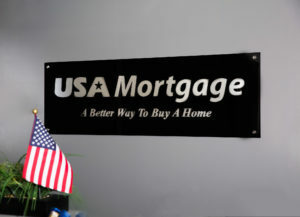 We here at USA-Mortgage are also used to being on top as we are the number 1 choice in mortgage solutions in Missouri. We have accomplished this by adopting successful virtues such as clarity, communication, compliance and a culture of teamwork. Our team is highly conditioned to strive to make buying a home a joyful occasion and one without stress and feeling like you are kept in the dark. We consider you a team member as work together to give you the most competitive rates, lower fees and unmatched customer service. Missouri is the show me state and USA-Mortgage would rather show you than tell you why we are the number one choice of Missourians for their Home Loan solutions.